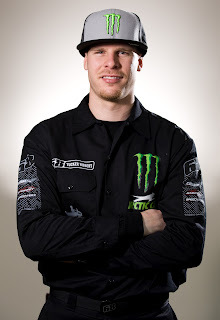 Follow Tucker Hibbert at the 2012 FIM Snowcross World Championship in Russia! Saturday Feb. 25, Tucker Hibbert will lineup against over 30 riders from six countries to compete for the prestigious FIM Snowcross World Championship in Russia. Qualifying practices and races will cut the field down to 22 riders. The top 22 riders will race in three separate, 15 minute + 2 laps races. The rider with the best overall finishes after the three races will be crowned the 2012 World Champion! Friday afternoon, Tucker clocked the fastest lap time (1.29.557) in the “free” practice. The track is wide, rough and lined with big jumps. Below are the details on how to follow Saturday’s event. Note: The race venue is located in the MSK timezone, which is +9 hours from EST. LIVE, free online streaming: http://vefire.ru/channel/HDeXtreme/ For your convenience, the race times are listed below as EST. Two videos are already posted. The complete 52-minute program will be available within a couple days.